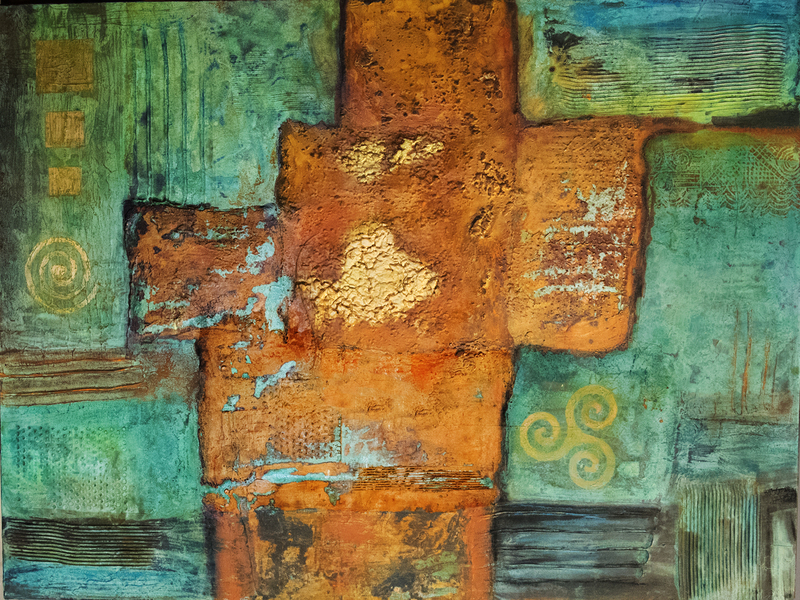 This abstract is a mixed media painting that I love. The gold mother lode offsets the rusted cruciform on the blue and green patinas with the descending squares, spiral, and triskelion on the sides. The painting is done over texture with an acrylic paint that has a great deal of metal in it. It is then treated with patina to change the metal color, and enhanced with pastels. It is framed in a walnut and gold floater frame that offsets it perfectly.